Science, Technology, Engineering, and Mathematics (STEM) are considered by many to be the foundation of an advanced society. In many forums – including political, social, and academic – the strength of the STEM workforce is viewed as an indicator of a nation’s ability to sustain itself. To engage our youth members in science, technology, engineering, and mathematics, the Boy Scouts of America has created new program initiatives that emphasize STEM in the context of the current advancement programs. The BSA’s STEM program gives Scouts the opportunity to explore relevant skills and experiences and to be recognized for their achievements. The aim of our STEM program is to expose youth to new opportunities and help them develop the STEM skills critical for the competitive world marketplace. Some of the very first merit badges were STEM related; a great example is the Computers Merit Badge. This badge was first offered in 1968, many years before computers and their related technology became mainstream. The BSA has continued to be cutting edge in its Merit Badge offerings, including the recent release of the Robotics Merit Badge. The Northeast Illinois Council STEM Committee is working diligently to align ourselves with local community partners and other programs to help enrich the lives of our Scouts through special STEM programs, STEM Explorer posts, and more. The core of our mission is to expose young people to the other worlds that within the world that they perceive every day. While our committee is young much like national STEM initiatives, we are committed to growing our efforts and diversifying our program offerings. Contact our Council or District STEM leaders below. North Star District STEM Chair Vacant Interested in this role? Contact us. What STEM awards are available for my Scout? 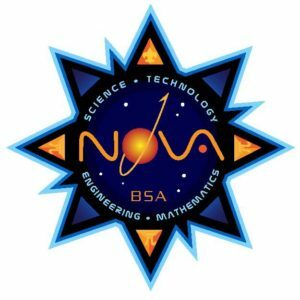 STEM recognition in the BSA comes in the form of the NOVA award and the prestigious SUPERNOVA award. These awards are presented to Cub Scouts, Boy Scouts, and Venturers who display knowledge and understanding of STEM concepts through the completion of project requirements. For a detailed guide to STEM awards for all program levels, click here. How can I find someone to help us with our STEM Awards? The Northeast Illinois Council has a wonderful group of volunteers available to help your Scouts to earn their way to STEM Award achievement. You can find them here! I’m interested in becoming a STEM Awards mentor or volunteer. What do I do? We are always looking for talented and resourceful people to help our Scouts advance through the STEM Awards program, so we do our best to keep the process as painless as possible. Simply follow the steps below. Complete an Adult Application and Youth Protection Training. If you are already an adult leader, you will need to complete another application, but you will NOT pay your yearly membership dues again. If you wish to be a NOVA Awards mentor, no further documentation is needed. If you would like to be a SUPERNOVA Awards Mentor, you will also need to submit this application. Turn in your documents via fax, mail, or by dropping them off to our Scout Store, or via email.